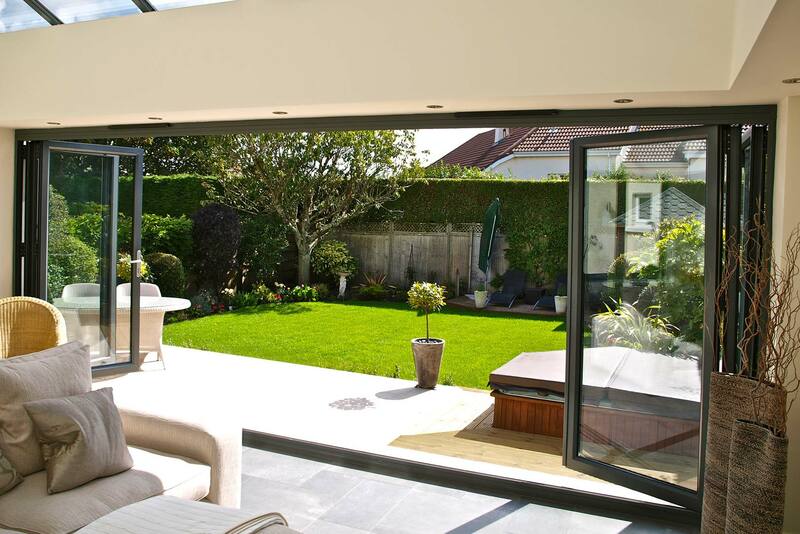 Bold and confident but not imposing, Bi-Folding Doors from Camberley Glass gives you the opportunity to create, explore and maximise the space not only inside, but also outside your home. We have been providing window and door solutions in Sandhurst for over forty-five years, our experience in both glass glazing and door replacement solutions is second to none. The adaptability of Bi-Folding Doors can provide the perfect solution for kitchen extensions, walk-in-wardrobes, utility rooms, and much more. Flexibility is the beating heart of Bi-Folding Doors with their concertina fold. This allows the doors to be stacked, maximizing natural light and utilising all the available space in your home. So you can create a beautiful panoramic view and imbue a relaxed living environment in your home. We boast an extensive range of Bi-Folding Doors which are available in both UPVC and Aluminium boasting a variety of colours and textures. Different materials, but with the same guarantees; aesthetically pleasing, energy efficient, high quality, low maintenance and a greater level of security. All doors are manufactured to exceed British Trade Standards ensuring minimal heat loss and maximum noise insulation. Our wide range of Bi-Folding Doors can be viewed at our showroom with advisors on site to guide you through the technical aspects. Your expert team will provide you with bespoke start-to-finish design and build service and a dedicated project manager. If you’re not happy, we’re not happy. We hold ourselves to the highest standards of customer service, reliability and workmanship.